EXID talked about the member with the poorest sense of fashion. During the April 12 airing of MBC FM4U's 'Ji Suk Jin's 2 O'Clock Date', the DJ asked EXID to name the worst dresser in the group. All members pointed at Hani. To the results, Hani commented, "I don't think it's because�I dress poorly. It's probably�because�I wear the same thing often." L.E�commented, "Recently, her yellow and red outfit went viral as the 'Marker Pen' look." 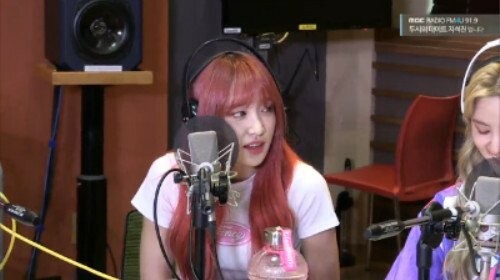 Hani brought laughter as she responded, "Hyerin�was below me until just recently but she went shopping, wore skirts and improved a lot. I realized that I need to step it up so I went online shopping today."